The Big Questions for Seattle in 2019: Boeing's New Plane, Amazon's Next Move and the Fate of Real Estate? It’s 2019, and it’s time for a new set of questions. The dominant question on the local business scene for most of 2018 had to do with a too-cutesy bit of corporate coinage that, in the end, even its own creator didn’t believe in. By the time Amazon’s trolling for tax breaks and incentive deals was done, “Where will Amazon put HQ2?” had deflated to “Huh?” as the company selected multiple cities for what Seattle’s mayor accurately described as branch offices. But now, the calendar pages have been flipped. It’s 2019, and it’s on to a new set of questions. Every year has them; and 2019 promises some real beauties. > Will Boeing go ahead with its middle-of-the-market airplane? Conjecture about a new model passenger jet has been going on even longer than speculation about HQ2. Boeing itself has indicated a decision will be forthcoming in 2019, and that it’s leaning toward going ahead. One other question: What will Boeing call this new plane? There’s only one more slot left in the 7-dash-7 naming sequence. 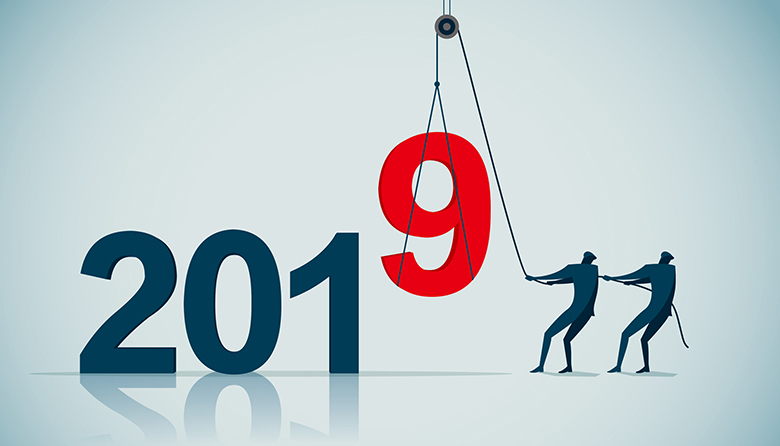 >The year wouldn’t be complete without a question or 50 about Amazon; it’s always good for guesses on what new lines of business it’s looking at, and no doubt 2019 will bring a few breathless reports of that sort. But a more interesting question concerns what Amazon might come up with in a business sector it has already indicated more than a passing interest in: health care. Between the company’s own investments and Jeff Bezos’ partnership with Berkshire Hathaway CEO Warren Buffett and JPMorgan Chase CEO Jamie Dimon to look at ways of cutting costs, is this the year Amazon gets serious about health care? Or will it continue to dabble? >You thought you were getting a break from election season in 2019? Ha! These days, politics is a constant. This year, the big-ticket election is municipal. No fewer than seven Seattle City Council seats are on the ballot. The biggest question is not, “Who will win?” or even, “Who’s running?” For this election in this city, the pivotal question is, “Do business and the middle class finally get seriously involved — or give up?” For all the complaining about the financial and regulatory hassles of living, working and operating a business in the city, as well as government’s competence in policy and operations, without an organized and coherent opposition, the outcome is likely to be what Seattle has now. Maybe even more of it. > Blip, breather, bubble or bust? The numbers say real estate prices have plateaued, maybe even dropped. As the year progresses, we’ll find out if this is a momentary “correction,” a time for the market to gather itself for its next march skyward, or the onset of a new real estate recession.